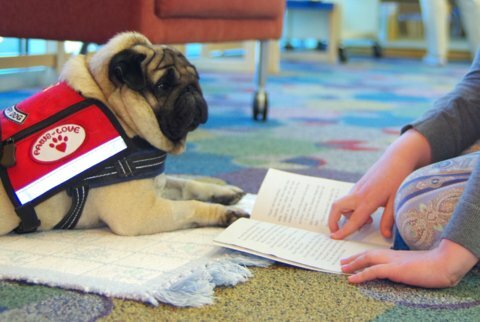 Please visit the Washoe County Library’s Upcoming Events page for Paws 2 Read times and dates at a library near you. 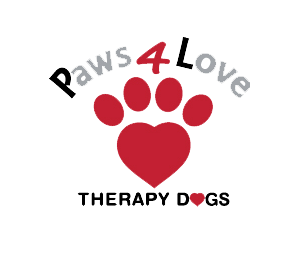 Paws 4 Love dogs play an important role in our community at Washoe County libraries and schools with its Paws 2 Read program for children of all ages. 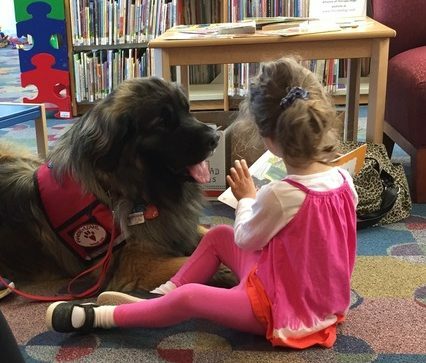 Each month, therapy teams visit area libraries to participate in this engaging program where friendly dogs lend a loving, non-judgmental ear to beginning readers. 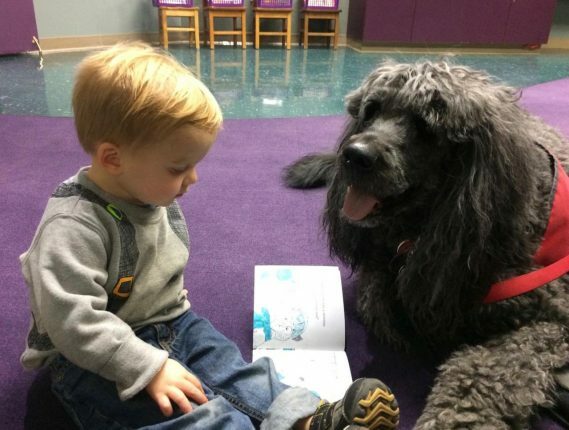 Research has shown that when a child is given repeated opportunity to read to a dog, the child grows more confident in their reading ability and develops a desire to read on their own. 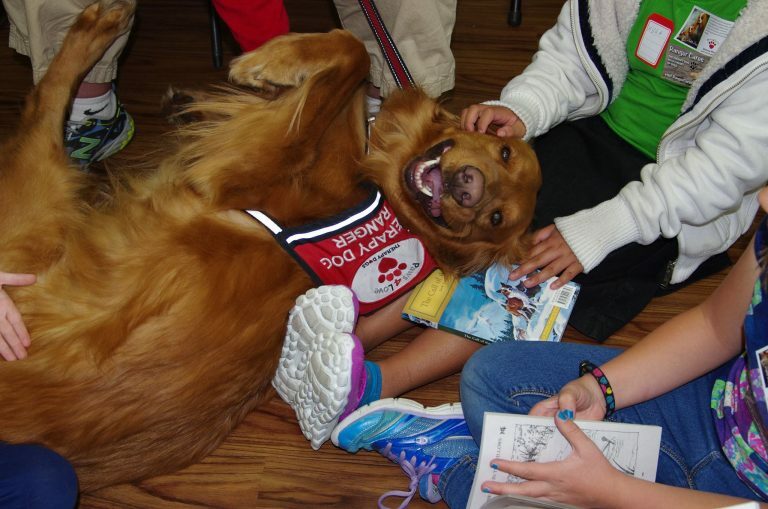 A recent study with third graders reading out loud to dogs for 10 minutes, once a week, showed those students improved their reading fluency by 12 to 46 percent, compared to no improvement for the class that had regular classroom instruction. 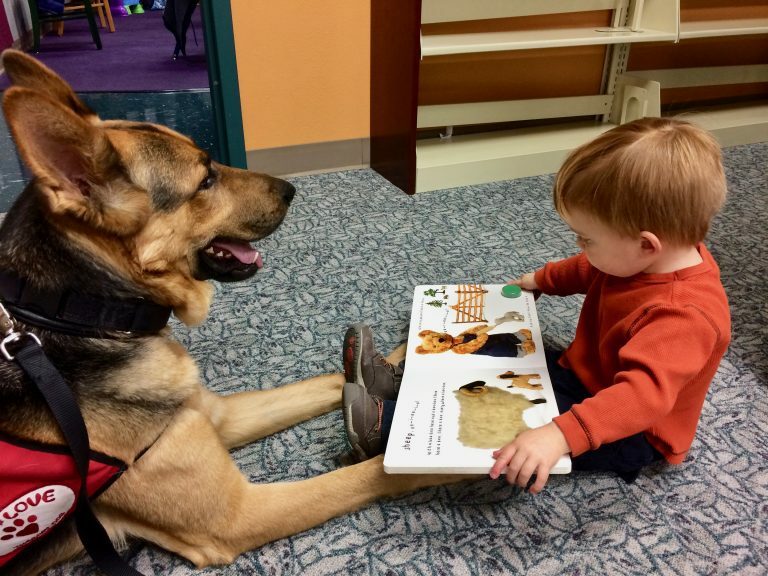 Educational and psychological research has shown that children’s reading levels increase one to two years by reading to dogs on a weekly basis.